Come and celebrate the Summer Solstice with us. 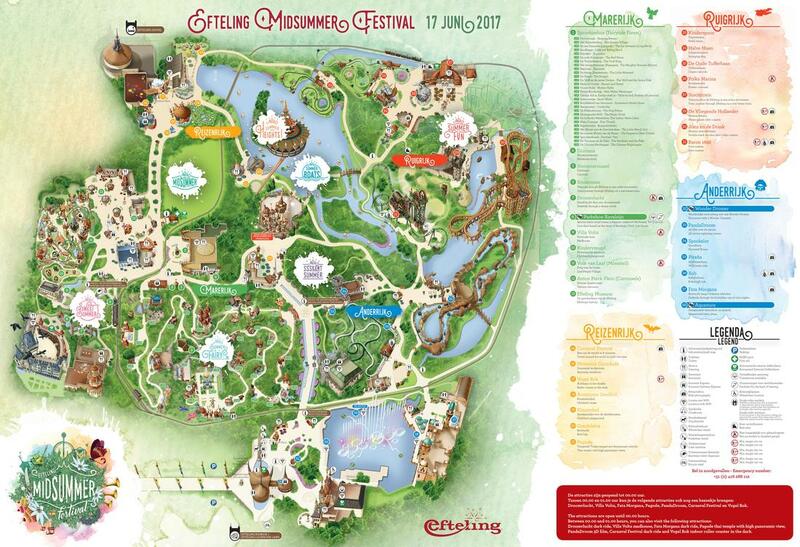 The Efteling will be open from 07:00 PM untill 01:00 AM for the special midsummer events. Enjoy an entire day in festival atmosphere with a live band and a street food heaven. Discover in this area the largest pop-up barbecue restaurant of the Netherlands, and have a taste of the popular dishes prepared on enormous grills. The ultimate hit of the previous years is unmissable! Lose yourself in the mysterious Haunted House forest. Dance with headphones on and a gin and tonic in your hand in the Silent Disco. Do you dare to taste the magic potion of the Green Fairy? The exciting Ruigrijk realm is synonymous with rugged, daring and different. This will be a party where you’re in charge of the music that will be played! Has all the dancing made you hungry? Delicious dishes with an innovative touch will amaze you. During an enchanted walk along extraordinary places you will be surprised by unexpected encounters. Indulge in sweet treats which will make Hansel and Gretel jealous. In the evening, the view from the Pagode Thai temple with high panoramic view will be like never before. During this musical flight, you enjoy an exclusive summer feeling. With a glass of delicious bubbly in your hand this will certainly be an unforgettable experience! You will get the ultimate Efteling Midsummer Festival feeling at the Gondoletta pond. Listen to music all evening long, and be enchanted by the thousands of wishing lanterns glistening on the water.